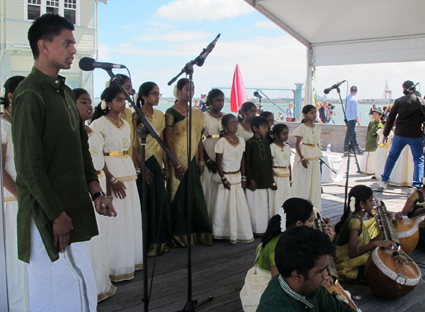 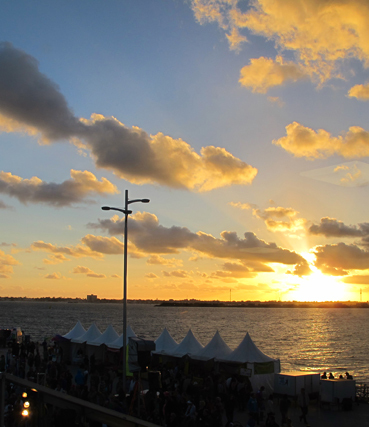 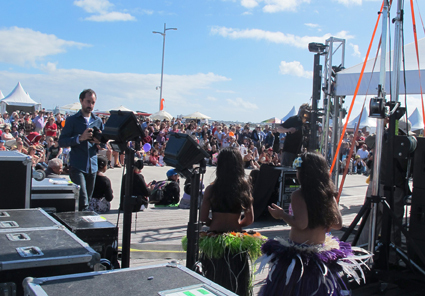 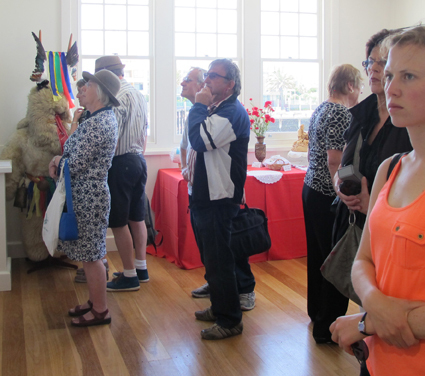 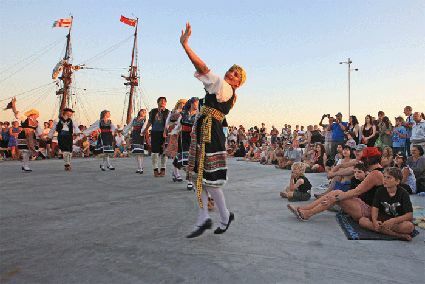 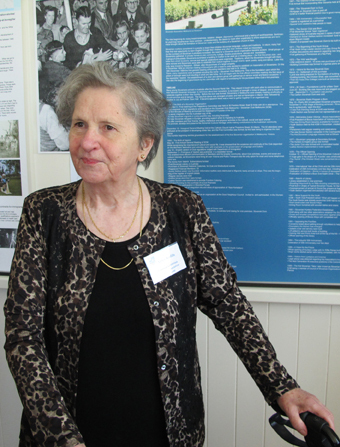 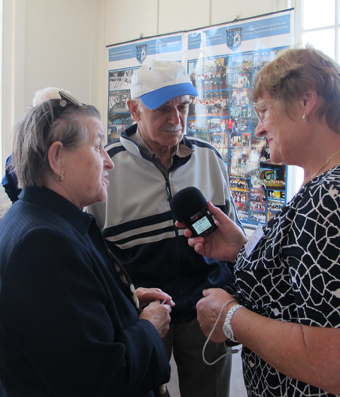 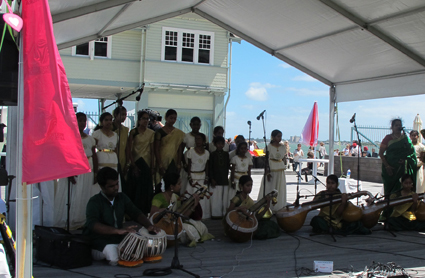 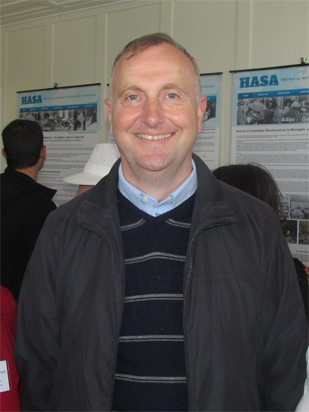 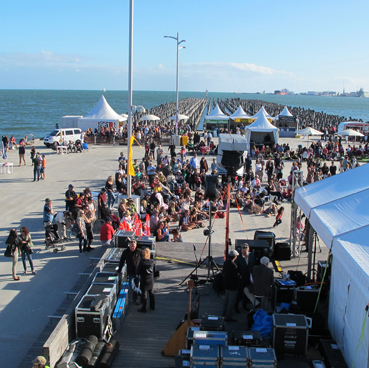 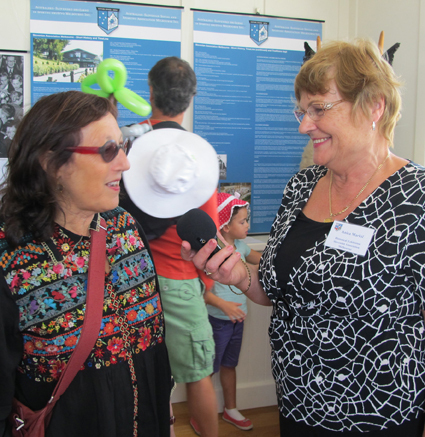 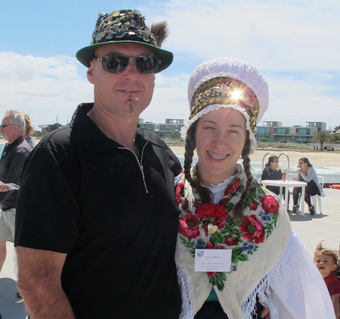 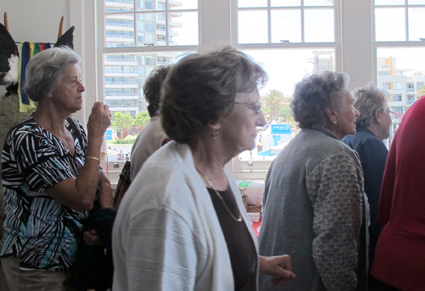 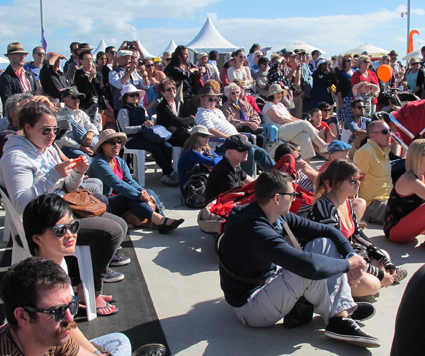 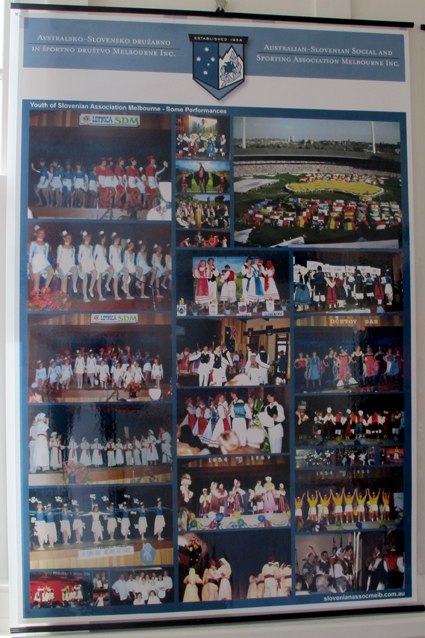 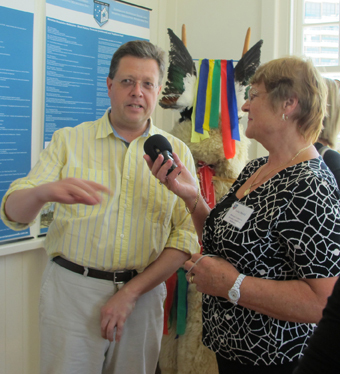 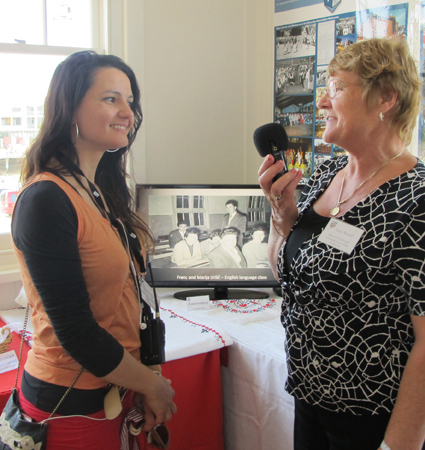 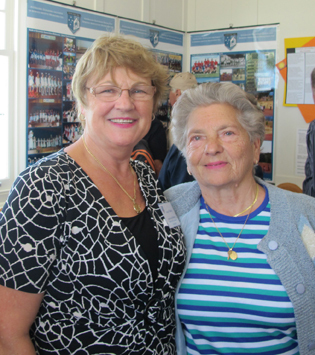 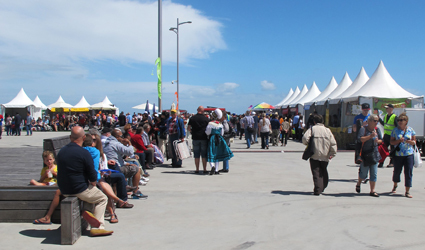 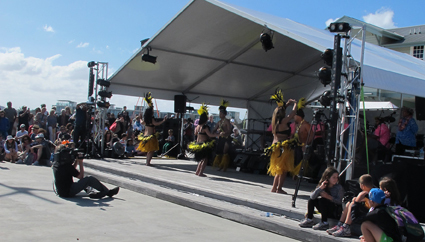 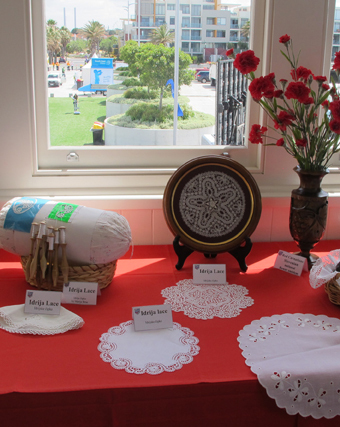 PIERS FESTIVAL, PORT MELBOURNE – Multicultural Commission of Victoria – Slovenian Community was invited to participate with the Exhibition of Migration and arrivals by various ships to the Melbourne Pier. 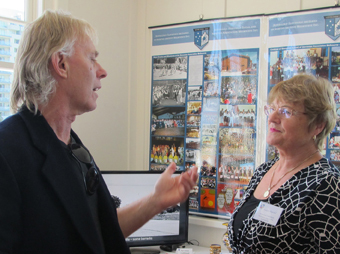 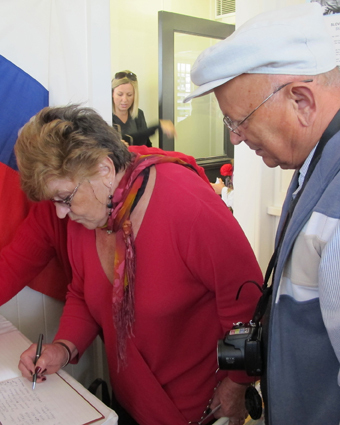 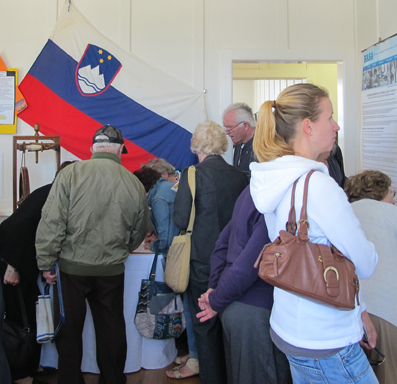 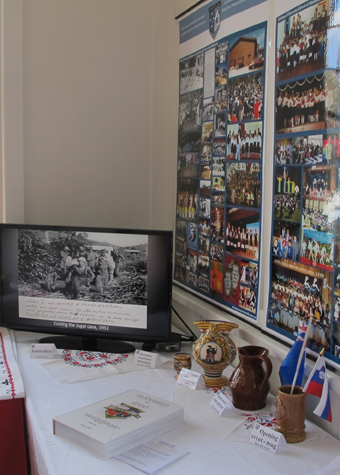 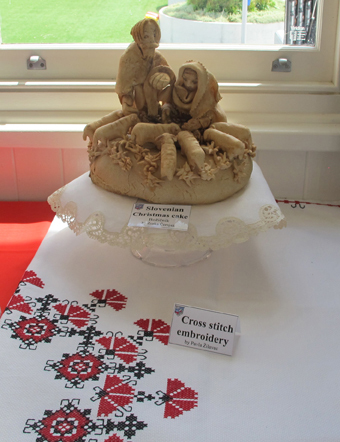 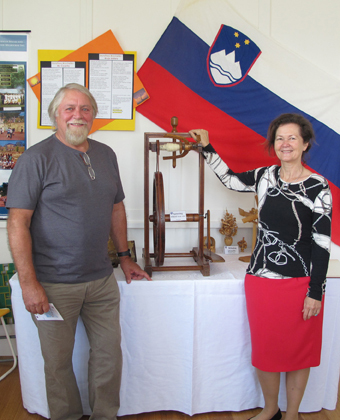 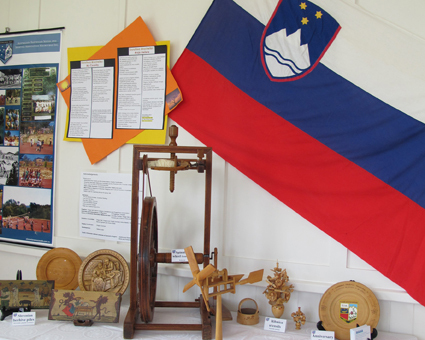 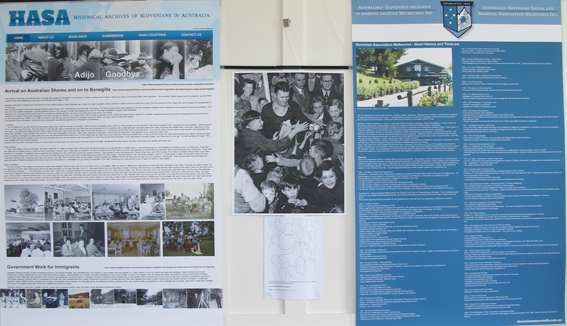 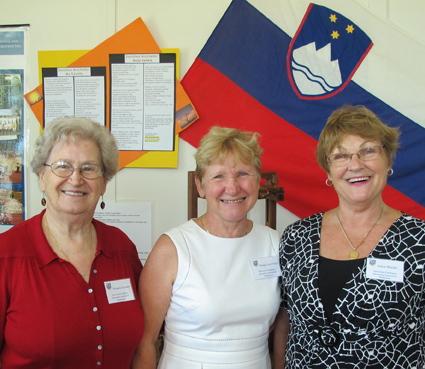 Slovenian Community was invited for the first time to participate with an exhibition of posters, crafts, PowerPoint presentation, available story tellers and Slovenians ready to share the information and details. 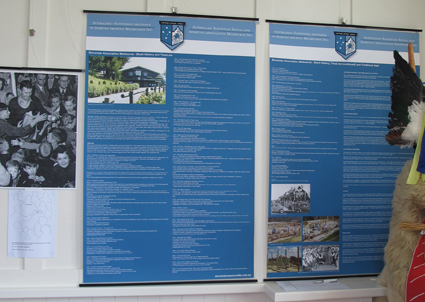 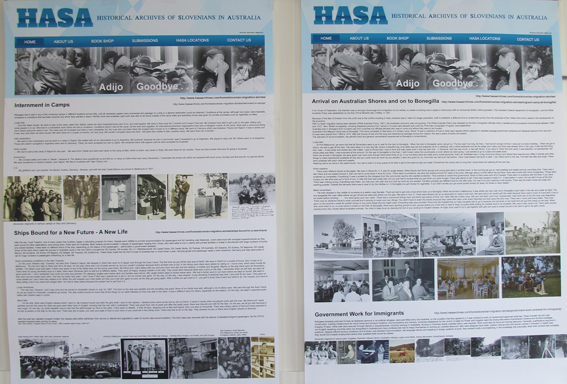 The exhibition was fully prepared the previous Friday. 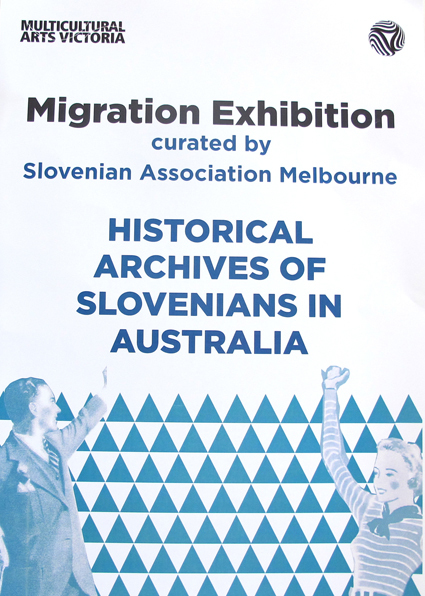 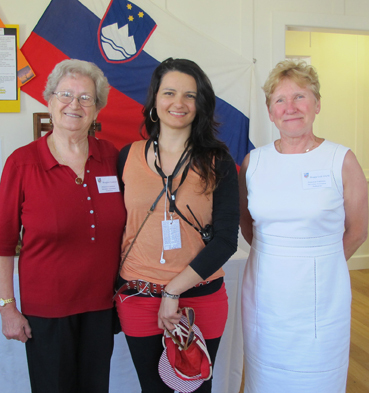 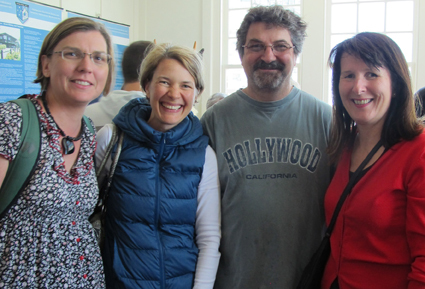 The persons involved in the project were: Dragica and Virgil Gomizel, Anica and Lojze Markič and Slovenian coordinator Draga Gelt OAM and some Committee members of Slovenian Association Melbourne. 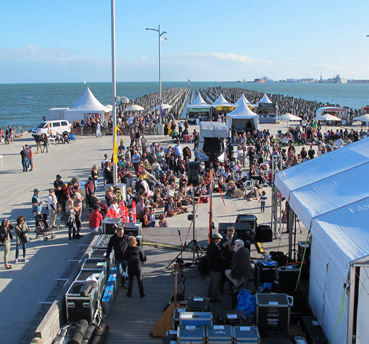 The Festival opened from 12pm to 5pm in the afternoon, followed by a party (food and drinks were available the early morning) and fireworks at night. 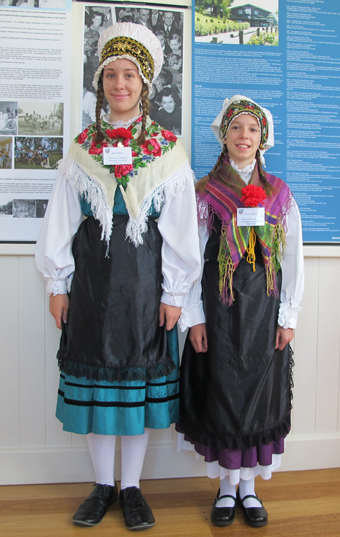 Did you or your parents arrive as migrants? 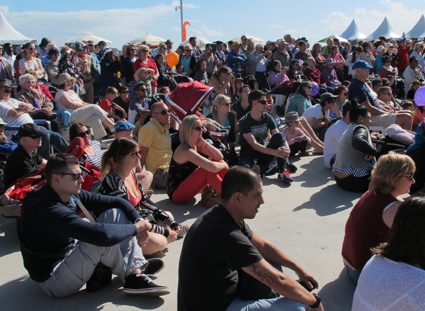 Hear some incredible stories that draw out the universal experience of the migrant with guest speakers from some of Melbourne’s key migrant communities. 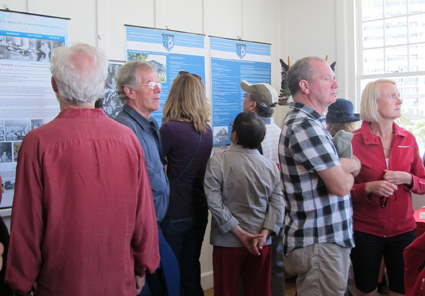 Forums will be held upstairs in the historic gatehouse. 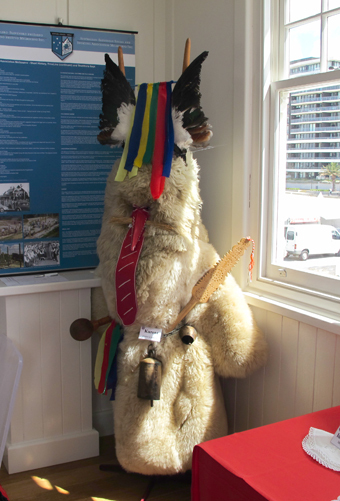 Come along and learn how to make traditional Chinese Koolie hats to protect you from the summer sun or come and learn how to make your very own kite- a pastime invented in China over 2,000 years ago and spread across the globe.KITE FLYING: At 4pm there will be a group kite flying session on the beach to show off your brand new kite.12 – 6pm: PIERS GUIDED MIGRATION WALKS Take a leisurely stroll from Princes Pier along the scenic promenade and Station Pier. 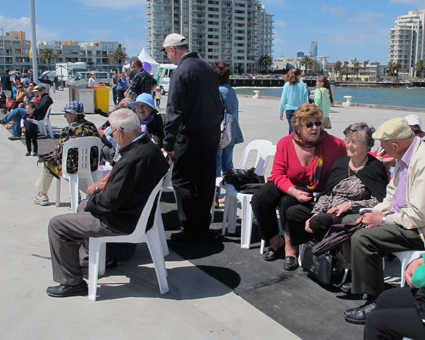 Explore significant heritage and cultural landmarks that have shaped the port’s rich history of migration. 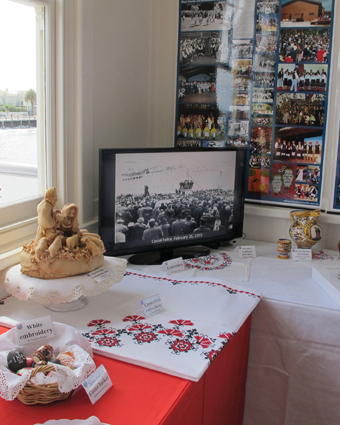 Discover the many uses of the ports over 150 years as a point of arrival and departure and hear some fascinating stories along the way. 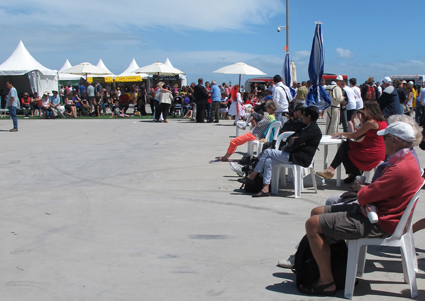 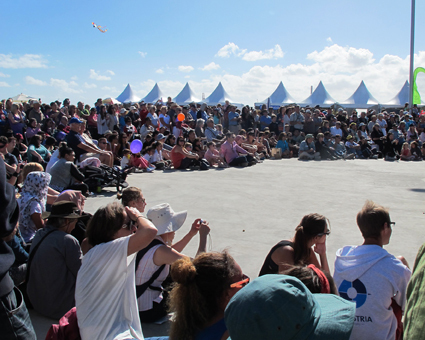 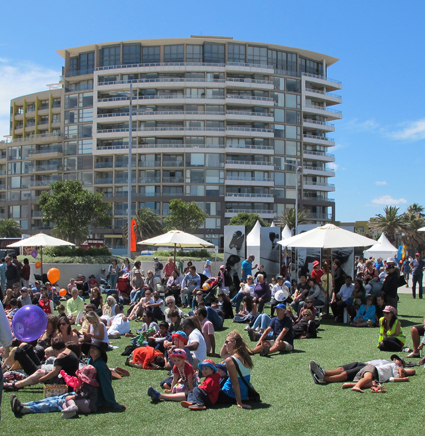 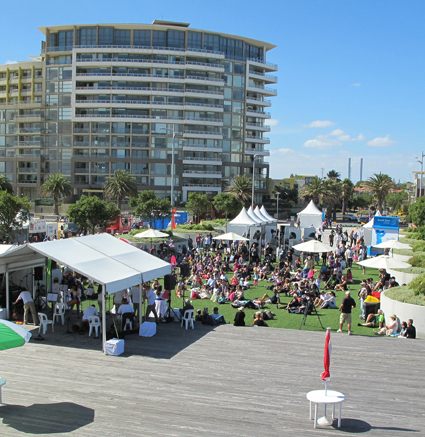 Walks will depart from the Multicultural Arts Victoria Information Marquee at the entrance to Princes Pier at 12pm, 1pm, 2pm, 3pm, 4pm, 5pm, 6pm and will run for approximately 40 minutes. 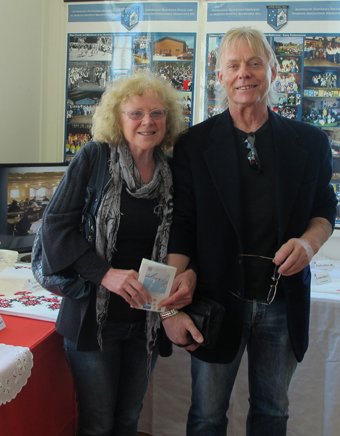 Guides: Janet Bolitho and Meyer Eidelson. 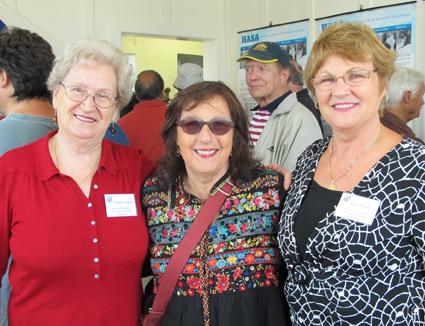 Places are limited and registrations are essential. 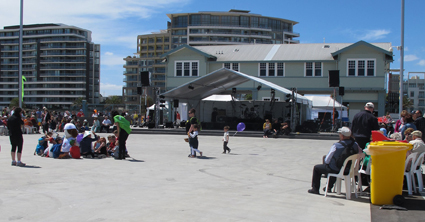 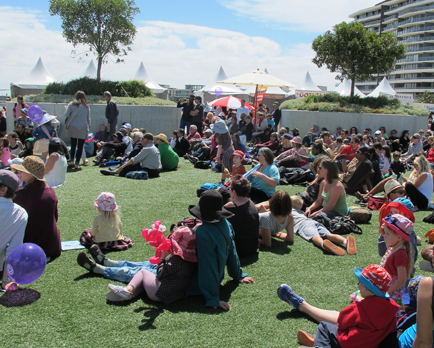 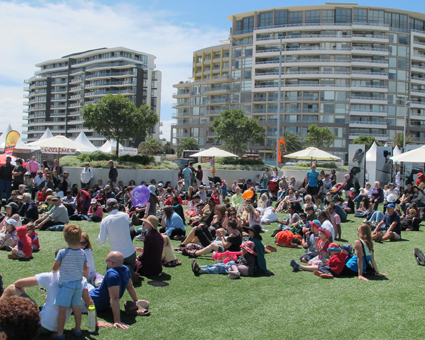 The beautifully restored Princes Pier will come to life with food and crafts from around the world, roving entertainers, storytelling and children’s activities.